Southern southbound freight departing Pot Yard on the RF&P Main. Power: 3 SD-35's, 1 SD-45. 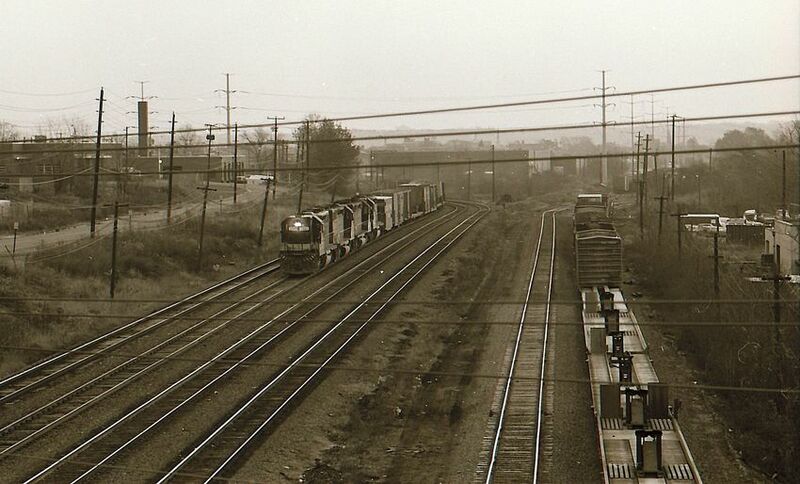 On right is Southern's small yard in Alexandria. What's unusual here is lead unit not running long hood forward. First car in train is remote control unit for use to operate mid train helpers. Didn't appear to in use on this train.